Neil Gaiman and Akiva Goldsman’s upcoming fantasy drama series Gormenghast has landed Doctor Who writer Toby Whithouse, according to Deadline. Whithouse will executive produce alongside Gaiman, Goldsman, Barry Spikings (The Deer Hunter) and David A. Stern (Howard’s End). Whithouse, who also created the BBC’s sci-fi thriller Being Human, will adapt the story about inhabitants of Castle Gormenghast, a huge, decaying, structure and the infighting that goes on with the royal family that inhabits it. Fremantle’s U.S. division is developing the series, which is also behind American Gods on STARZ, another adaptation of Gaiman’s work. This will be the second television adaptation of the books since the BBC adaptation of the first two books: Titus Groan and Gormenghast. That aired as a four-part series in 2000 that starred Jonathan Rhys Meyers (Vikings, The Tudors) and horror legend Christopher Lee (The Return of the King, The Wicker Man). 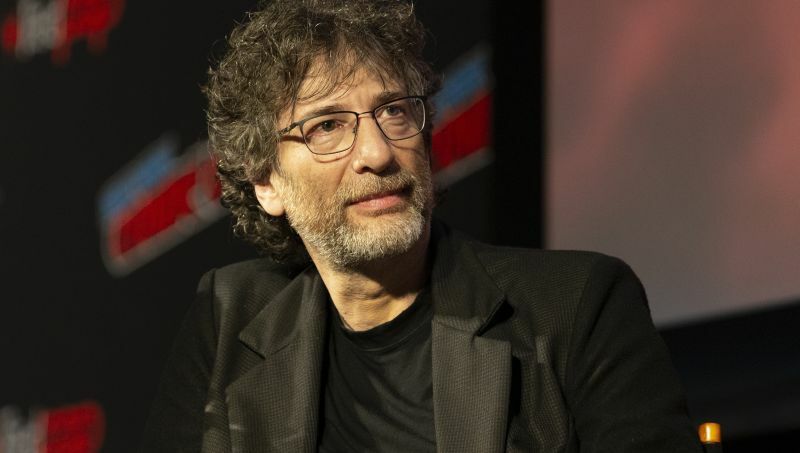 This is yet another of several projects Gaiman has in the works, including American Gods, which is currently in production on its second season, and the upcoming Amazon/BBC joint production of Good Omens, based on the novel Gaiman had written with late author Terry Pratchett. The post Neil Gaiman & Akiva Goldsman’s Gormenghast Lands Doctor Who Writer appeared first on ComingSoon.net.